Interesting subject; recessed panel lines; nice limited run mouldings; good quality package. Some previous experience with limited run kits will be helpful. 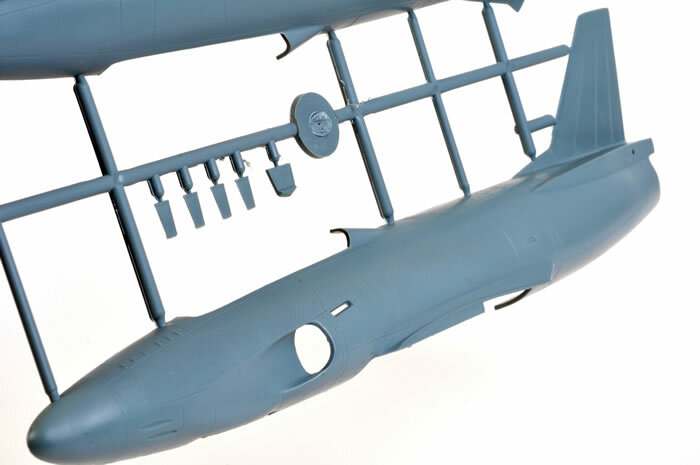 Being a limited run kit, you’ll want to have a bit of modelling experience before tackling this project, but Tarangus’ 1:48 scale SAAB J32B Lansen looks to be a good solid and accurate base for this interesting and versatile Swedish Cold Warrior. Recommended. The SAAB 32 Lansen was a two-seat, swept wing attack aircraft manufactured between 1955 and 1960 for the Swedish Air Force. During its long operational life the Lansen also served in the fighter, reconnaissance, electronic warfare and target tug roles. However, the Lansen was primarily tasked with air defence against Soviet border incursions. The SAAB 32 Lansen replaced the last piston-engined bomber in Swedish service, the SAAB B18. Although not designed as a supersonic aircraft, a Lansen broke the sound barrier during a shallow dive on 25 October 1953. Lansen translates from Swedish to English as “Lance”. Taranagus from Sweden released a 1:48 scale SAAB A32A Lansen as its debut release early in 2012. 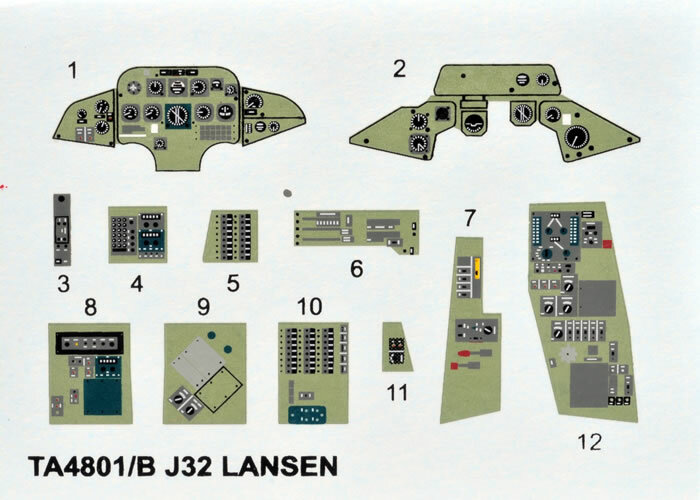 Tarangus has now added a J32B Lansen to its lineup. 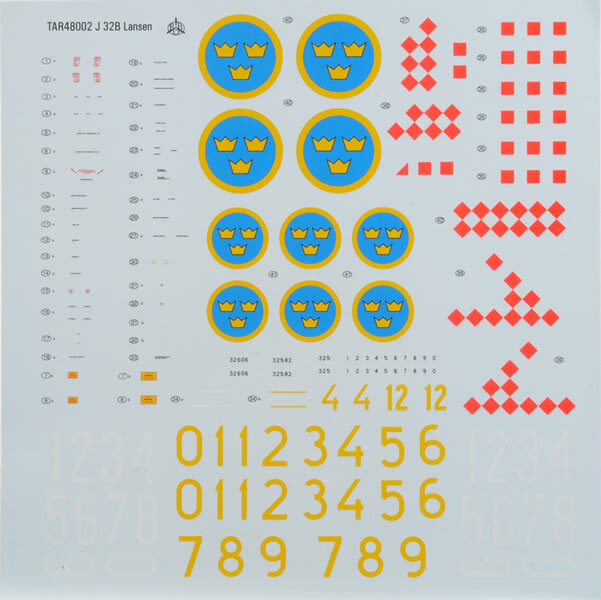 Tarangus’ 1:48 scale SAAB J32B Lansen comprises a modest 78 parts in grey plastic, 8 parts in clear plastic and three in resin. 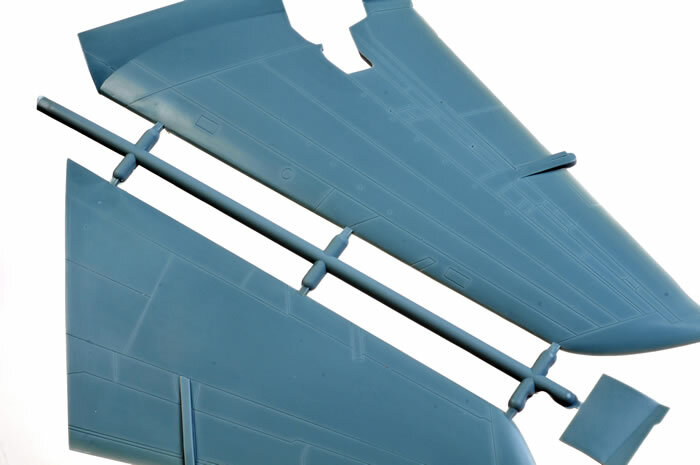 Compared to the original Tarangus A32A, this J32B Lansen kit features an all-new fuselage, new seats and a new resin exhaust. The box art by Tor Karlsson is also quite striking. 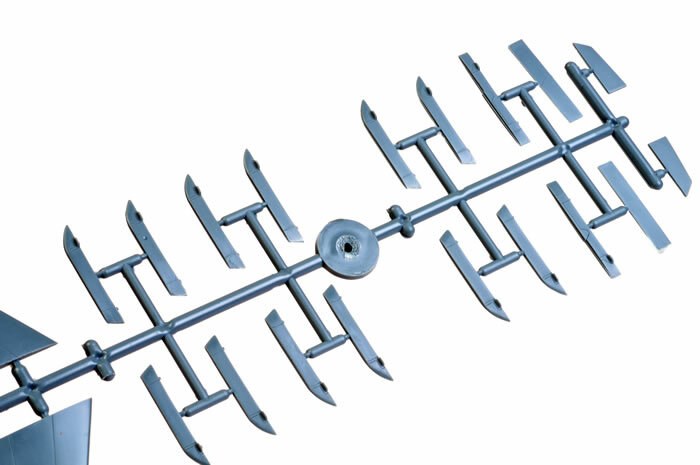 Some of the sprue connectors are heavier than usual too, so using a razor saw to cut through the gates will reduce the risk of scarring the part during the removal process. 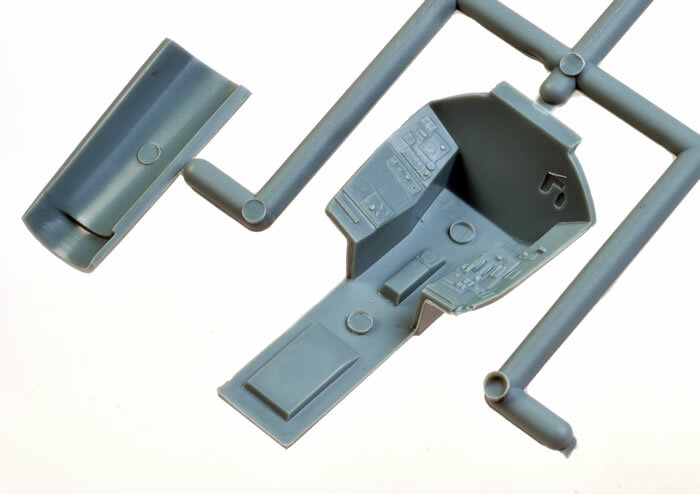 The exterior surfaces are free from moulding imperfections except for a doozy of a recessed ejector pin circle right in the middle of the main landing gear bay. 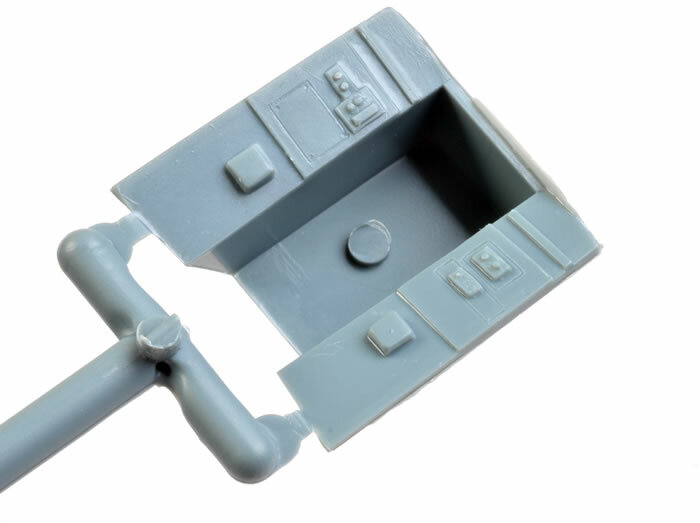 Cockpit detail is provided mostly in plastic and should look good when painted up. 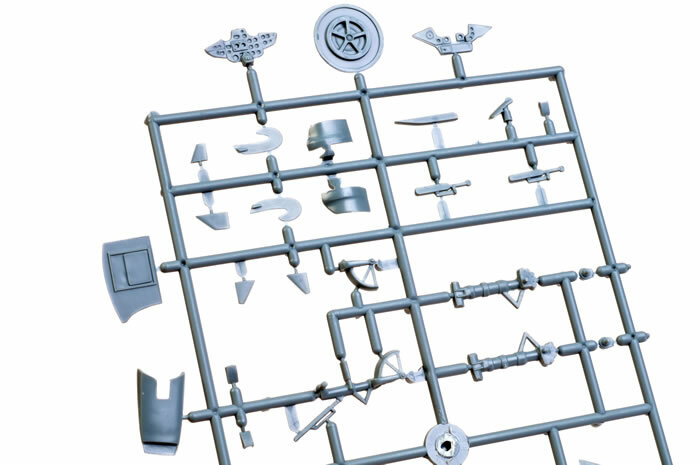 Another new feature of this kit is a small decal sheet containing printed instrument panels and side consoles, which may be applied over the top of the kit's plastic parts. Tarangus also provides two nice new resin seats with cushions but without harness straps. 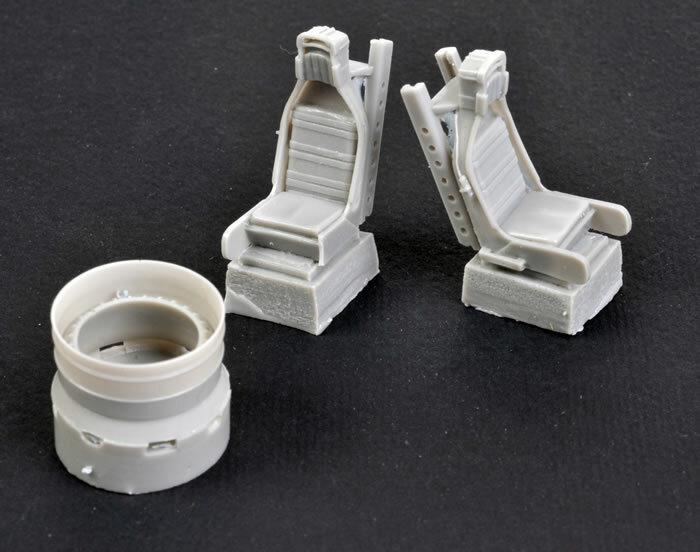 Please note that Maestro Models offers an interior colour photo-etched detail set (Item MMP4809) that provides not only harness straps but also layered instrument panels, side consoles and more for the A32A. 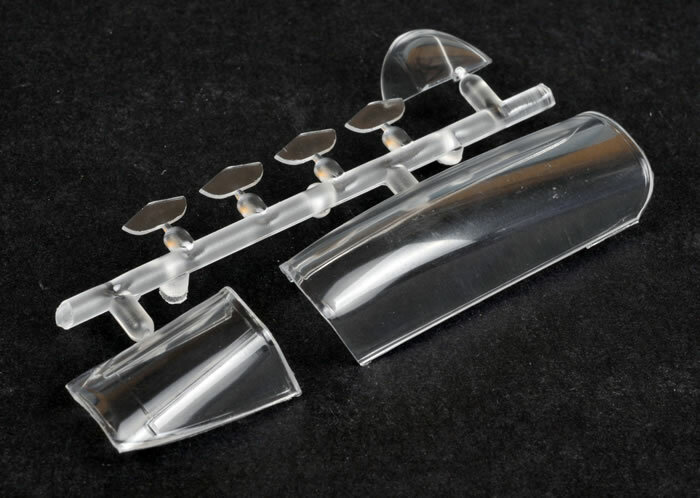 I presume that these will be appropriate for the J32B too. The resin exhaust is very nicely done too. 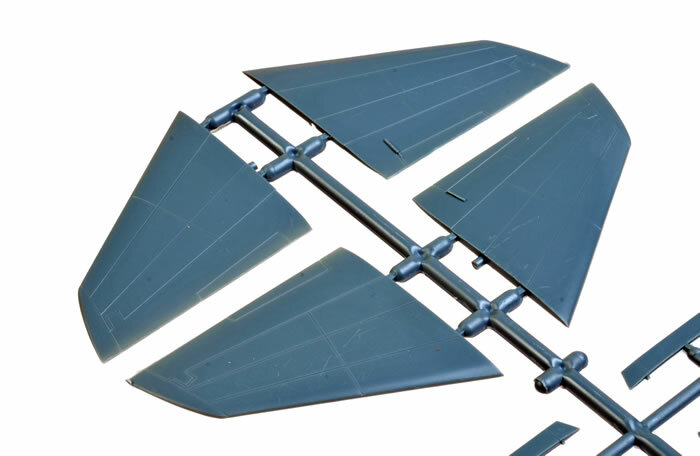 The parts breakdown is quite conventional with a full span lower wing half and separate upper halves, plus two-part tail planes. 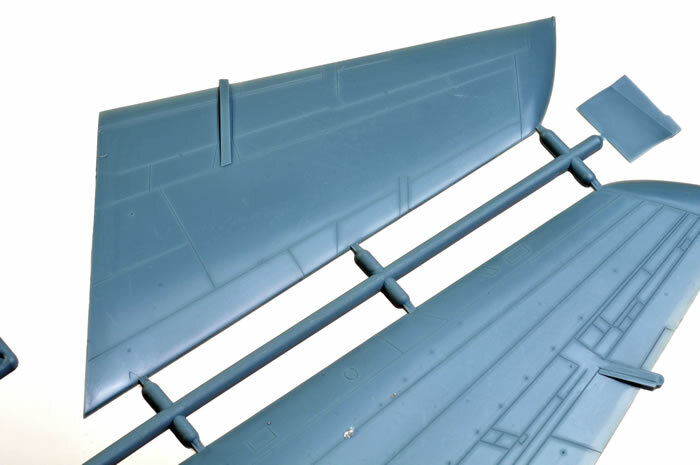 You’ll need to trim off the raised ejector pins on the inside surfaces of the wings and tail planes before you glue them together. 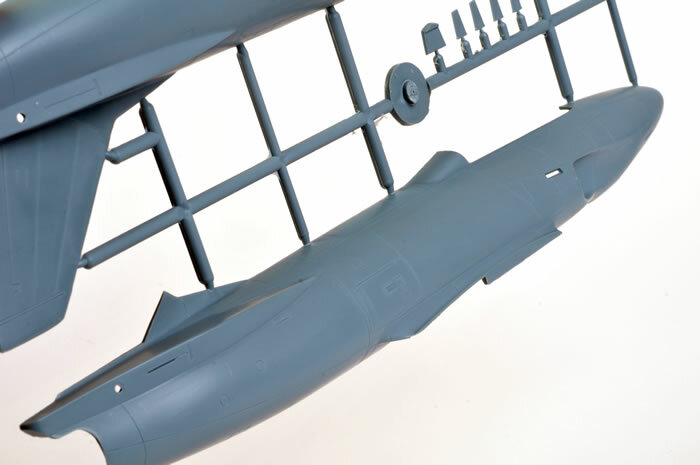 14 weapons pylons are supplied for the wings, including options for the outboard position, but no ordnance is included in the kit. 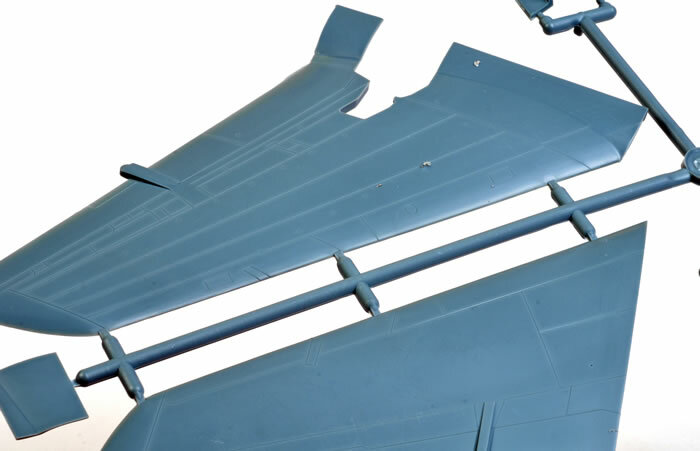 The canopy is thoughtfully supplied in two pieces so displaying it open won’t be a problem. In common with many limited run canopies, this once looks very slightly cloudy but it should shine after a bath in Future floor polish. 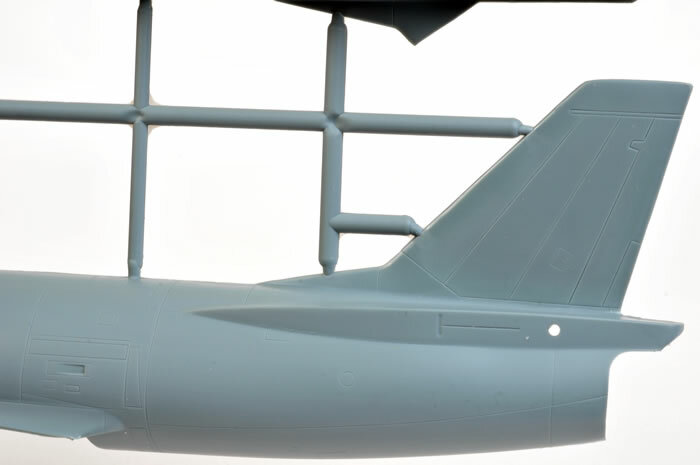 Markings are supplied for three aircraft, including a bright subject with orange diamond chequers on the fin, spine and wings. Decals are well-printed and thin. 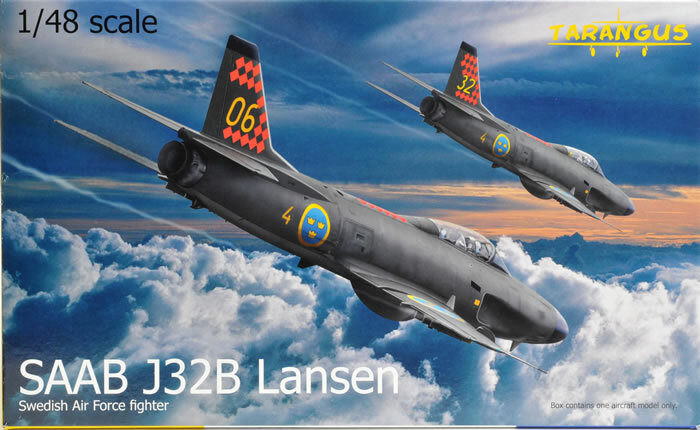 Being a limited run kit, you’ll want to have a bit of modelling experience before tackling this project, but Tarangus’ 1:48 scale SAAB J32B Lansen looks to be a good solid and accurate base for this interesting and versatile Swedish Cold Warrior. Thanks to Maestro Models for the review sample.